At the end of 2016, #TeamShonny stood triumphant. When Shaun needed just one point to secure his season victory, he failed. But when either Brian or Matt needed a big victory to capitalize, they failed. 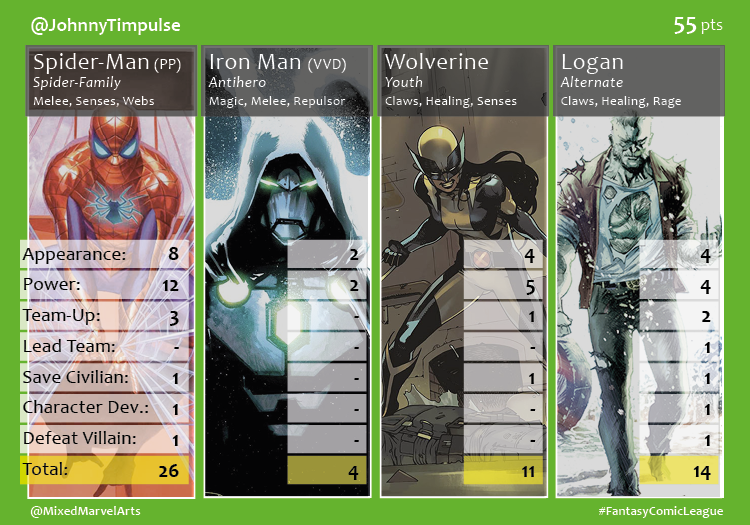 Shaun’s top-secret weapon saved him the season: a potent and powerful combo of Johnny and Spider-Man. 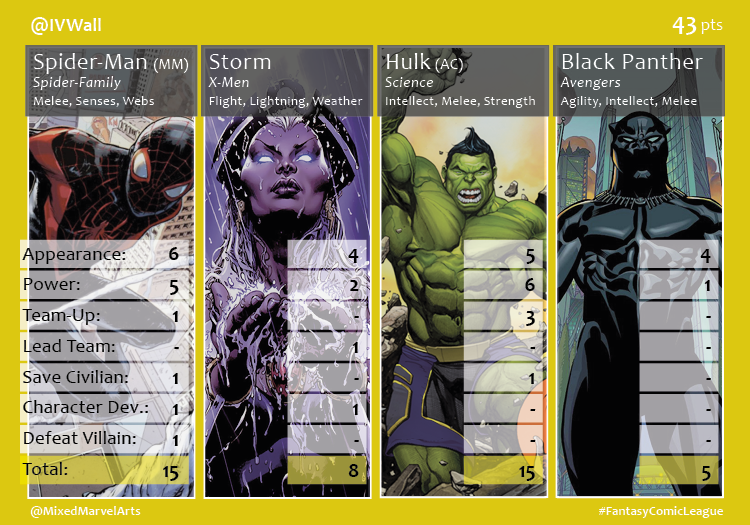 Strong performances by Johnny’s dual Wolverines bolstered Spider-Man’s month-winning performance and earned Johnny the final victory of 2016 with 55 points. Sceritz and Swampy both surged with 17-point final weeks in December to capture second and third, respectively. 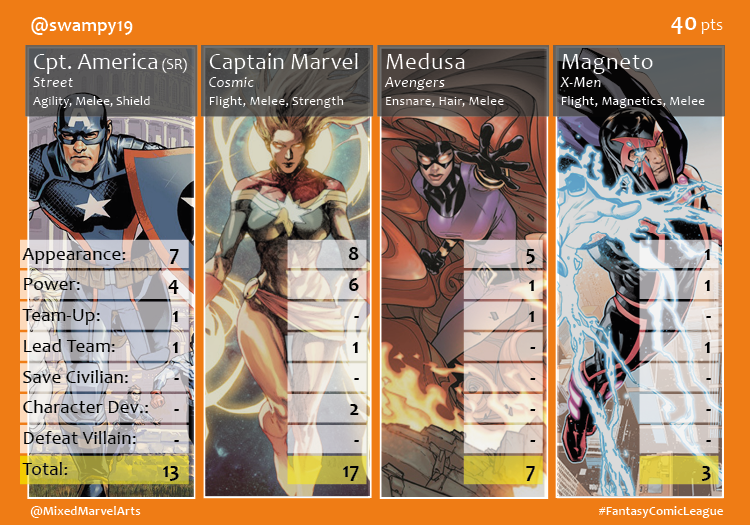 Sceritz (43 pts) banked on Hulk and the Champions while Swampy (40 pts) continued relying on Captain Marvel’s starring role in the recently-concluded Civil War II event. 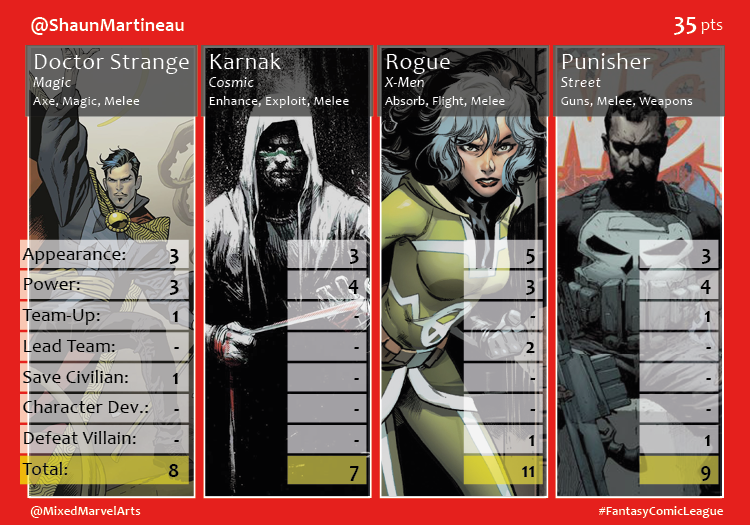 Matt and Shaun tied at 35 points each, but Deadpool’s 20 points broke the tie in Matt’s favor over Rogue’s 11 for Shaun. 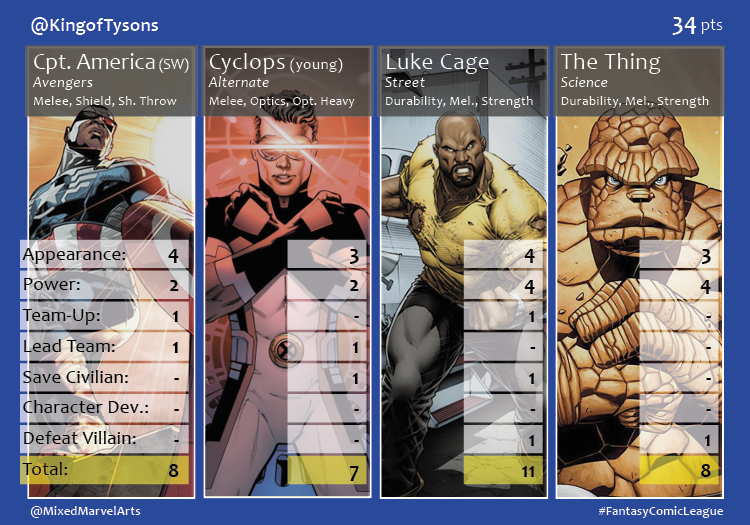 Brian (34 pts) tumbled badly from his first place finish; his faith in the Durabros combo of Luke Cage and the Thing unrewarded. Johnny’s win moved him into second place overall for the final season of 2016, behind Shaun’s second seasonal victory of the year. 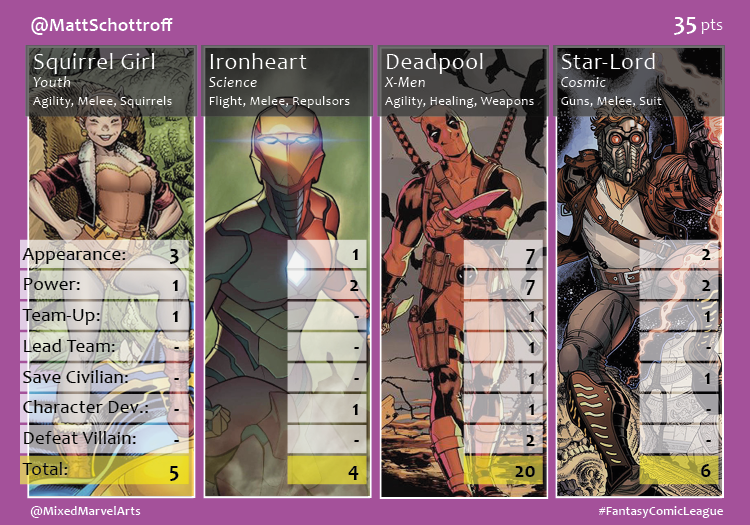 Congrats to all who participated and helped end the 2016 #FantasyComicLeague on a good note! Here’s to making 2017 better with the new Midtown and Wakanda divisions!